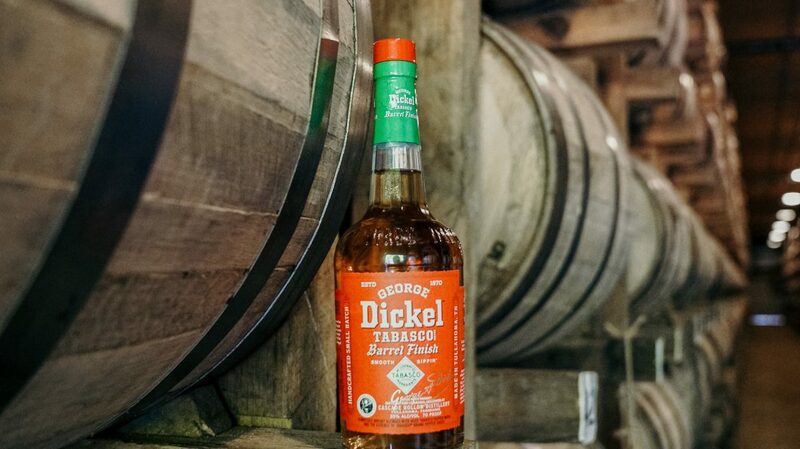 George Dickel has unveiled a Tennessee whiskey blended with Tabasco and finished in Tabasco barrels. 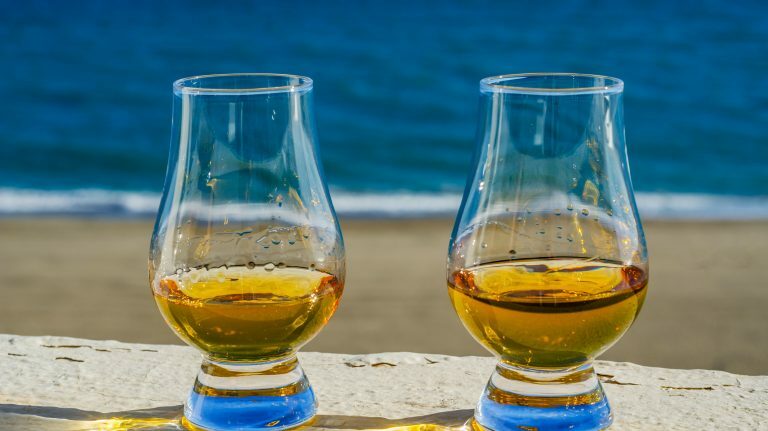 Whisky: it’s so hot right now. 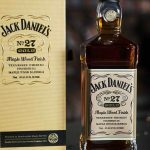 Especially if it’s finished in Tabasco hot sauce barrels, which is the case with a new flavored whiskey from Tennessee’s George Dickel. In fact, “Hot Dickel” takes things even further by blending in distilled Tabasco, creating a spicy spirit with a capsaicin kick. 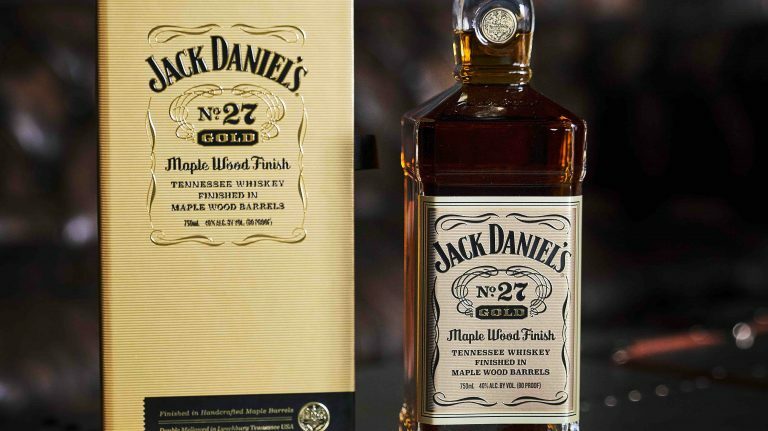 If you’re into it, the whiskey is a permanent part of Dickel’s lineup and will cost $25. For those who don’t like to mingle condiments and whisky, there’s a new blended American whiskey from Hotaling & Co. (formerly Anchor Distilling), makers of Old Potrero. The blend includes Old Potrero 18th-Century Style Whiskey, Old Potrero Straight Malt Whiskey Finished in Port Casks, and Kentucky bourbon. Called J.H. Cutter after a historic whiskey brand, the 48% ABV whiskey costs $50 and is available in a handful of states. 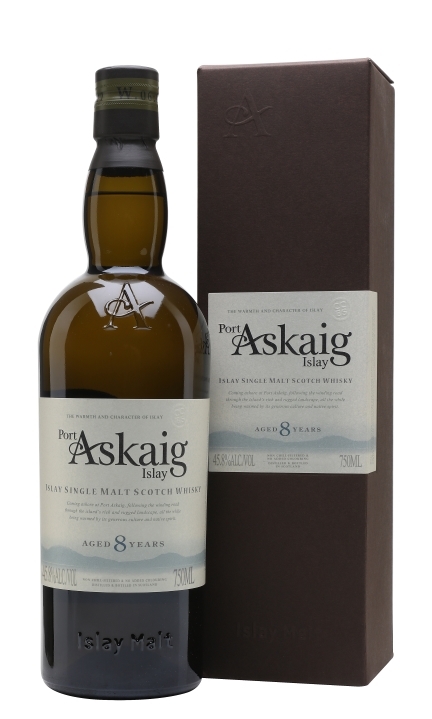 From Scotland come two new single malts in the Port Askaig line: an 8 year old and a 14 year old. Each sourced from a different, undisclosed single malt distillery on Islay, the whiskies are 45.8% ABV and cost $65 and $100, respectively. Nashville, Tennessee distillery Nelson’s Green Brier recently unveiled the second whiskey in its Craftsman Cask Collection. 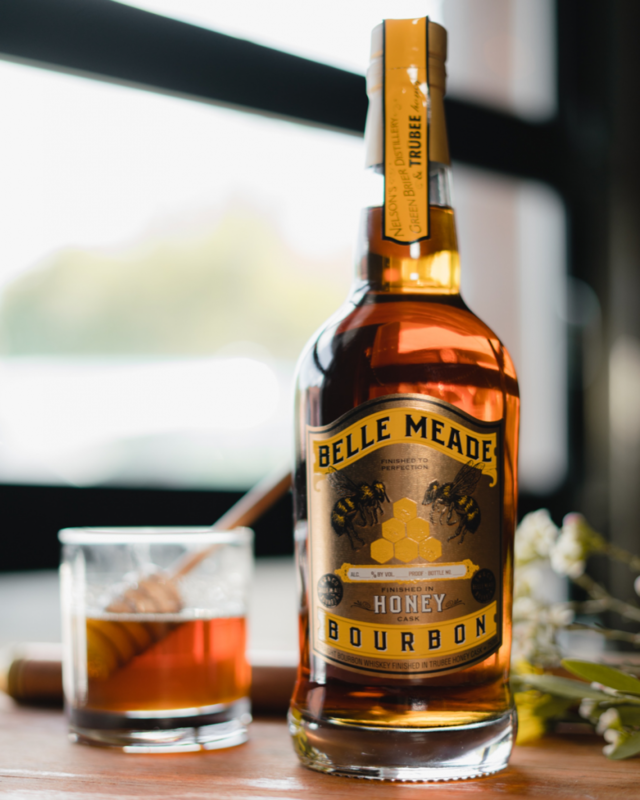 Belle Meade Honey Cask Finish bourbon was finished in barrels that previously held honey. Yes, actual honey barrels, rather than the common term for exceptional whiskey barrels. The bourbon is available only at the distillery for $120. 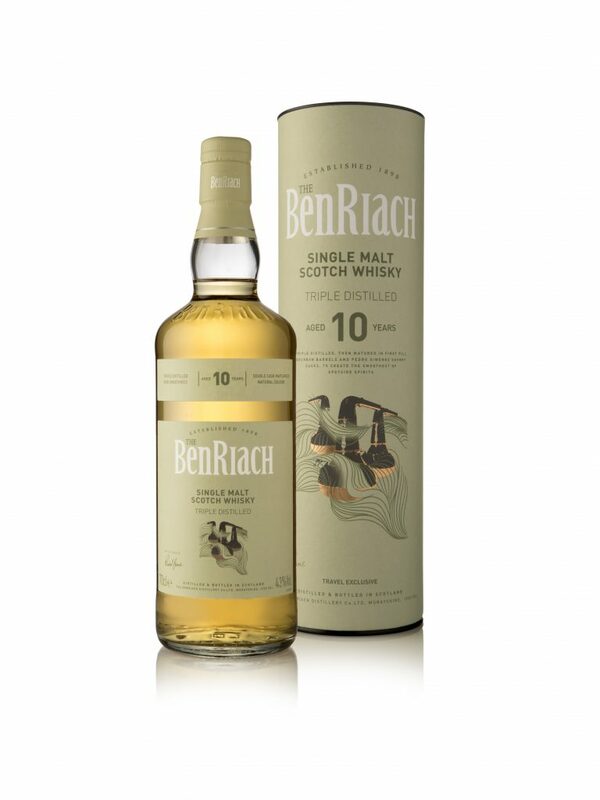 BenRiach Distillery in Speyside has released a 10 year old that has been triple-distilled. Aged in ex-bourbon and Pedro Ximénez casks, the single malt is available at travel retail in select international airports. Finally, Washington, D.C.’s One Eight Distilling is relaunching its bourbon and rye (and gin and vodka) in new packaging with a new name. 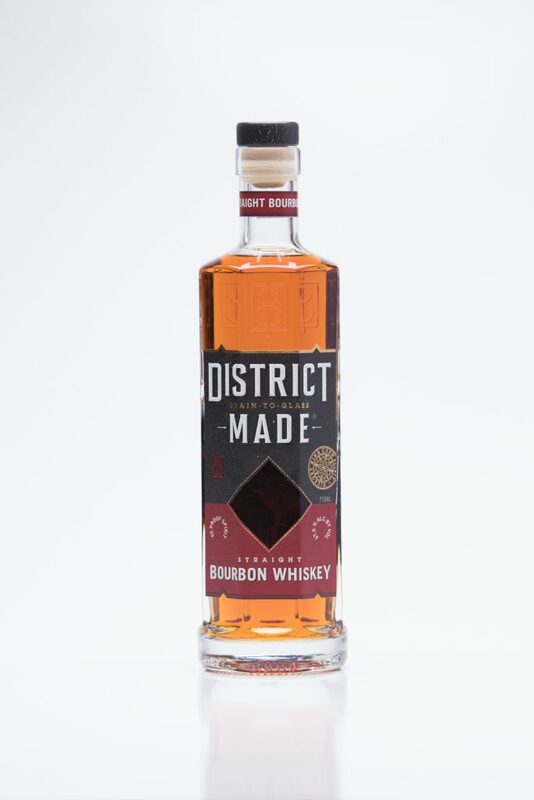 The District Made line includes bourbon and rye, both aged at least two years. They’re for sale in the District and Maryland for $50 apiece. Read on for full details. 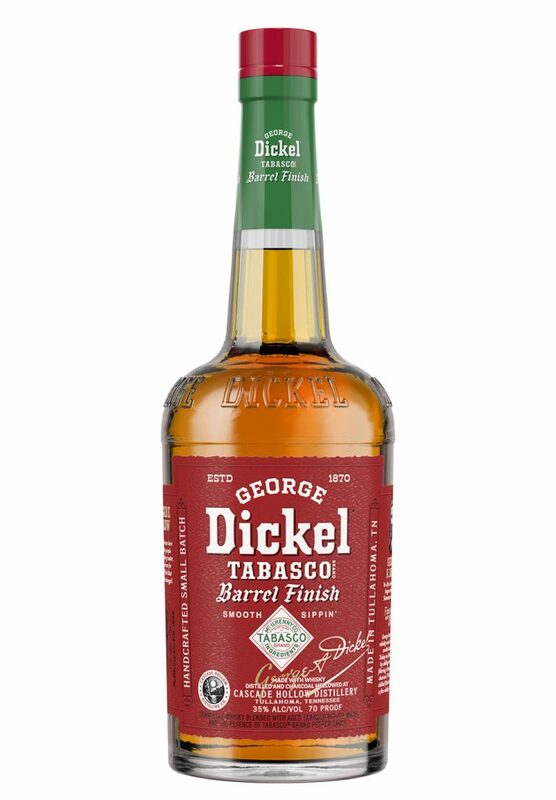 George Dickel Tennessee whiskey is been finished for 30 days in barrels that previously held Tabasco hot sauce, then blended with distilled Tabasco sauce. At 35% ABV—and with added ingredients—this does not qualify as a whiskey. The success of Fireball has inspired a host of hot and spicy flavored whiskeys, although this is the first one we’ve heard of that includes both finishing in a hot sauce barrel and added (distilled) hot sauce. Those barrels, by the way, may have originally come from Dickel, or another Tennessee or Kentucky distillery; like many scotch, rum, and Tequila makers, Tabasco buys used bourbon barrels for aging its hot sauce. Hotaling & Co.—the company formerly known as Anchor Distilling—has unveiled a whiskey that blends its house-made rye with bourbon made in Kentucky. J.H. 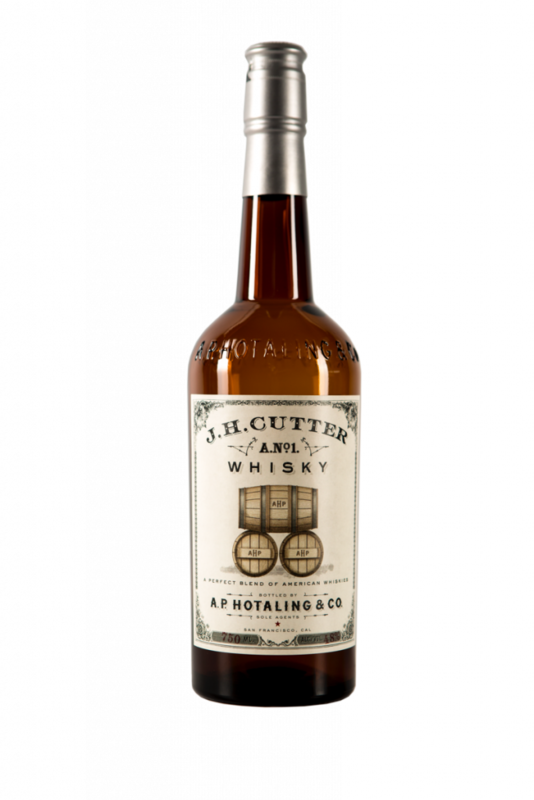 Cutter’s blend includes 73% bourbon from Kentucky Bourbon Distillers, 17% Old Potrero 18th Century Style Whiskey, and 10% Old Potrero Straight Malt Whiskey Finished in Port Barrels. The J.H. Cutter brand was historically sold by liquor merchant A.P. Hotaling in the mid- to late 1800s. It’s not uncommon for craft distillers to blend their own whiskeys with sourced juice—Smooth Ambler does it with Contradiction, and High West is beginning to do it with its Double Rye and other expressions. What makes J.H. Cutter more unusual is the fact that it is blending sourced bourbon with two other styles of whiskey altogether: malted rye that has been barrel-finished, and whiskey distilled from a rye mash (Old Potrero 18th Century Style Whiskey is not a true rye because it’s aged in toasted, rather than charred, oak barrels). 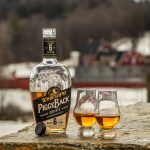 The result is bound to be unique, even in comparison to the handful of bourbon-rye blends that are currently available. Sourced from an undisclosed Islay distillery, this single malt aged for eight years in refill ex-bourbon casks. The older, and more limited, sibling to Port Askaig 8 year old, this whisky spent its life maturing in first-fill ex-bourbon casks. 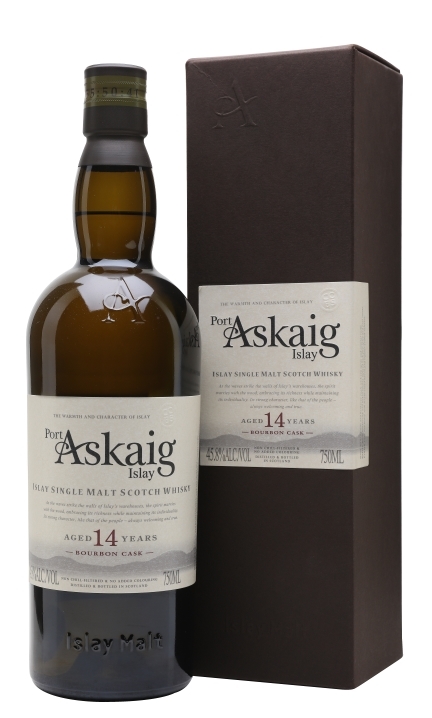 The Port Askaig brand debuted in the U.S. last year with the non-age-statement 110 proof expression (89 points). 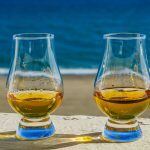 Owned by Elixir Distillers, Port Askaig is an independently bottled whisky, and different, undisclosed Islay distilleries supply the various expressions. The 110 proof and 8 year old come from one distillery, while the 14 year old is sourced from another. After launching a bourbon finished in Mourvèdre casks, Nelson’s Green Brier Distillery is rolling out its second release in the Craftsman Cask Collection. This one is a 10 year old bourbon finished in barrels that previously held honey from TruBee Honey in nearby Franklin, Tennessee. Two barrels were bottled, each at barrel proof, which results in the two different ABVs of 52.95% and 56.8%. Playing on the concept of the honey barrel, this bourbon is sure to be a unique whiskey. I’d be equally interested in trying the honey itself—perhaps as a syrup for use in an Old Fashioned. This single malt scotch was distilled three times, rather than the conventional two, and aged in first fill ex-bourbon and first fill Pedro Ximénez sherry casks. Although triple distillation is common in Irish whiskey, most Scottish producers only distill twice. (One notable exception is Auchentoshan.) BenRiach has been doing some triple distillation since 1998, and says that the result is a fruitier and zestier whisky. This bottle will be available only at travel retail in select airports. 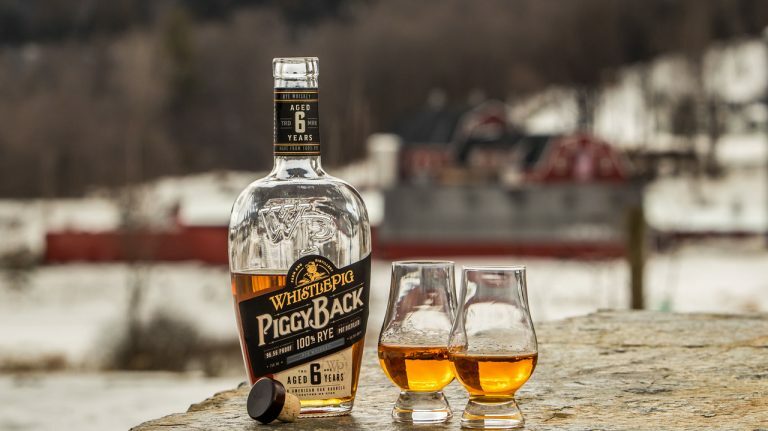 Washington, D.C.’s One Eight Distilling has re-released its bourbon and rye with a new name. Previously called Rock Creek Bourbon and Rock Creek Rye, the whiskeys are now labeled District Made Bourbon and District Made Rye. The name and packaging have changed, but the liquid inside remains the same. One Eight Distilling opened its doors to Whisky Advocate a few weeks ago when we were in town for WhiskyFest D.C. Like most craft distilleries, the space was small, but the energy and creativity more than made up for that. Co-founder and head distiller Alex Laufer told us about plans to increase production with additional stills and fermentation capacity being installed this fall—meaning more whiskey is on its way, eventually expanding One Eight’s reach beyond the D.C. metro area.